Please check regularly to keep up to date. 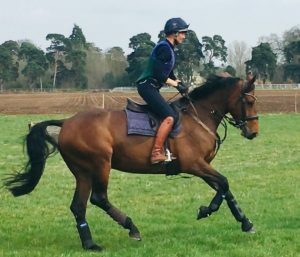 Youngsters Kevin, Lily and Dan had their 2nd cross country schooling outing of their careers this weekend. All three behaved impeccably. Homebred Kevin, (pictured above) looking particularly classy. 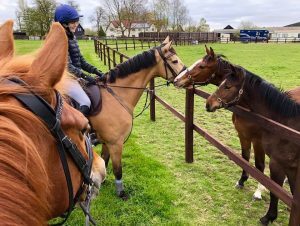 Dan and Aimee, Jack and Sharon; making the most of the school Easter holidays and saying a quick hello to the foals (Victor and Valour). Socialisation starts early here at Darshams Farm! Youngsters Dan and Lilly jumped superbly today at Codham Park. 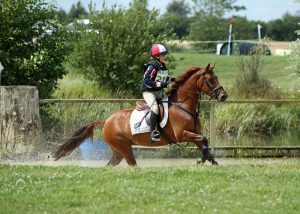 Jack joined them for the outing and racked up another classy, double clear, in the 1.30m, landing himself 2nd place. 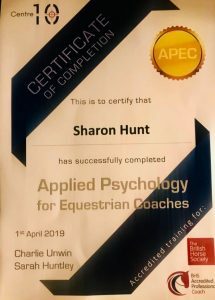 Sharon attended the last day of her coaching course today and received this certificate of completion. Sharon is looking forward to incorporating her new skills in to her future coaching. 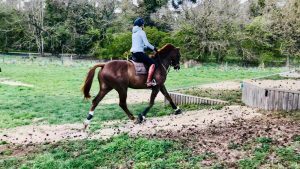 Amanda and Aimee Pomfret’s Starholme Lulu went off to her new home today, we wish her new family all the best for the future. Youngsters Dan and Lily went to Anvil Park Stud today and had their first competitive outing. Both jumping double clears in the clear round and British Novice, showing a great attitude. 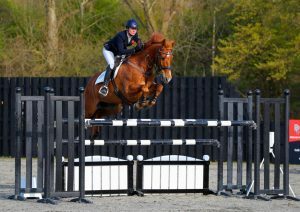 Jack went along as well and showed them how it’s done; he didn’t disappoint and won his Foxhunter class. A good day at the office! Youngsters Dan, Lily and Kevin had their first outing of their career today. 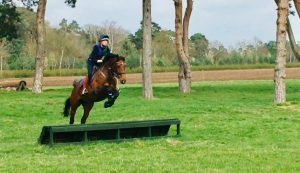 Our resident groom Alice also came along with her horse Henry for a pre-season XC practice. All horses behaved impeccably. 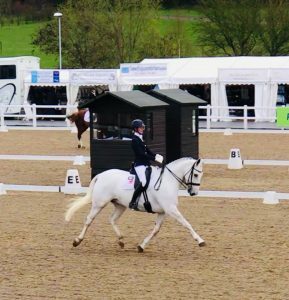 Lily stood out to be the ‘star of the day’ showing a really professional attitude and love for her future Eventing career. On the journey home, Sharon described Lily as “one to watch, an exciting future prospect”.